This dashing, peacocking fellow strutted into our lives recently to tell the tale of his own murder at the hands of his keeper, a kindly old lady. This lovely bird was raised from a chick by quite the eccentric woman. 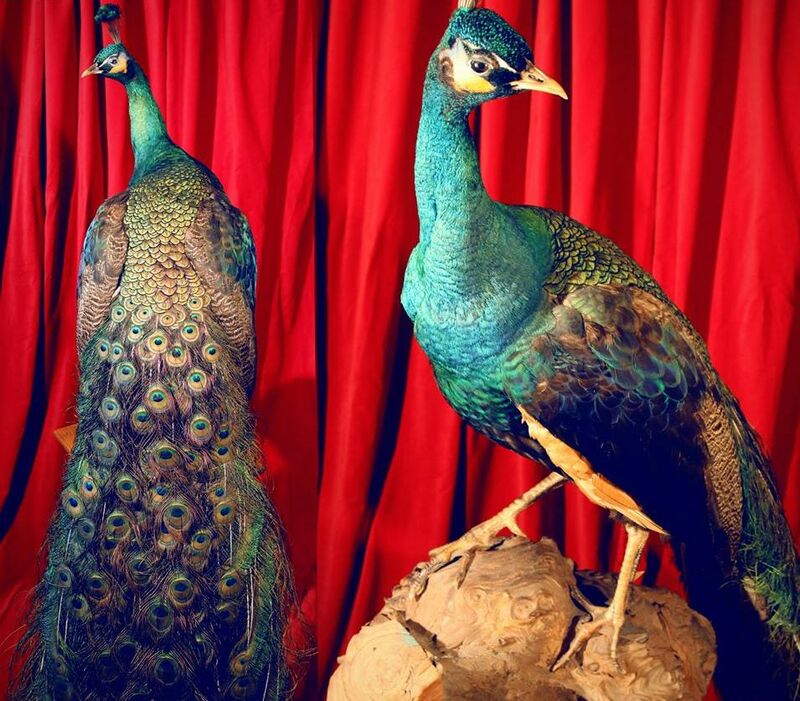 It seems that with age, peacocks are prone to dementia, making them curiously violent. Well, this bird was no exception and an abusive creature of this size was nothing for an old woman to contend with and so, one day, tired of being chased throughout her yard on the way to the mailbox, she dipped a few slices of banana into some handy rat poison and tossed them to our feathered friend and finely felled him. The old woman’s children, upon hearing of this audacious avicide, decided to have the bird stuffed and returned to their dear mother as a reminder of what she had done to their beloved pet. Thus, this bird lives on and his tale is told, very much unlike the old lady who’s name I’ve already forgotten.